I've become alarmed by the requirement that the Hep-B vaccine be administered to newborns - usually within hours of birth. This is insanity! But I suppose rather clever on the part of the drug dealers. The more vaccines you can give closer to birth, the more likely it is to be blamed on complications of birth rather than on the vaccine since the parents have not had time to observe their 'normal' child and the changes that occur shortly after vaccination. Thank you for your courage. It must be discouraging at times. I appreciate all you do. Even big pharma’s partner in crime ‘big pediatrics’ has to admit people are waking up to vaccine dangers. Personally I would question the validity of the results favoring vaccines and it’s part in autism in this survey. I think it’s worse for the drug pushers than this survey even suggests because, both vaccine Inc. and big government are in an absolute panic that the public’s over all perception of the mutli-Trillion (?) 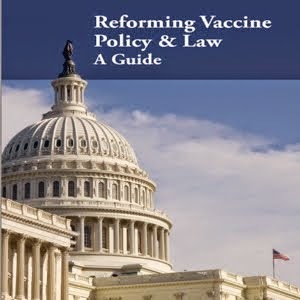 dollar vaccine industry is at an absolute low, as in, ‘hitting rock bottom’ . Such is the panic that Secretary of Health, Kathleen Sebelius blames people like myself and Barbara in particular for the publics perception and begs ‘big media’ NOT to give people like Barbara ANY media coverage CENSORING our point of view in her recent quote printed in ‘Readers Digest’. 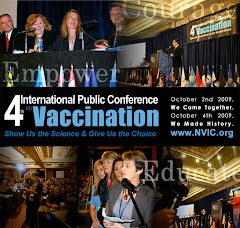 Barbara’s years of dedication to vaccine safety of course has woken many people up but, it’s by no means the main reasons people have been becoming very skeptical of the ENTIRE vaccine issue. Big pharma, big medical and big government have been living in their own bubble, their own vacuum, while EVERYONE in the ‘real world’ has to deal with all the vaccine FUBAR’S both past and present. Below is a quick ‘thumbnail sketch’ WHY the public is becoming NOT just ‘justifiably’ wary of vaccines but ‘justifiably; wary of the entire ’system’ that protects big pharma and coddles the vaccine industry in general. 4.) THE LOW SEASONAL FLU SHOT TURN OUT REVELATION. I briefly discuss the significance of all of these bullet points on the public's perception on my blog. BTW Scott you hit the nail right on the head with your post.